Rhian Brewster was present at Melwood on Tuesday as he took another step towards his highly-anticipated return from injury. The Liverpool striker has been sidelined since seriously damaging the ligaments in his ankle during a match for the U23s against Manchester City on January 12 2018. He was subsequently required to undergo season-ending surgery and has since been handled with caution by the club’s medical team. A year later and the 2017 U17 World Cup champion and Golden Boot winner is edging closer towards a return to full training, notably making an appearance in the Reds’ latest session. Brewster was captured running on a treadmill having recently been passed fit to start light ball work again. 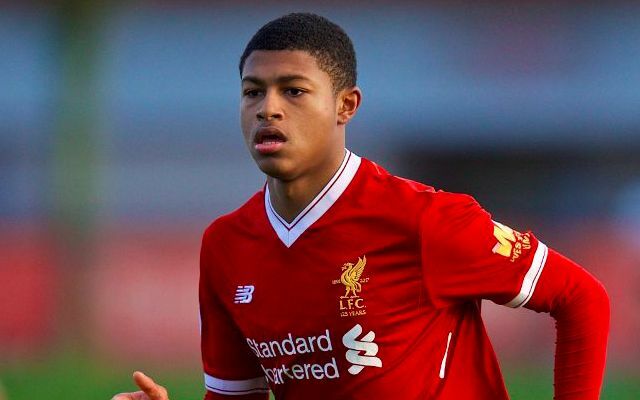 Brewster’s glowing reputation on Merseyside seemingly played a role in Liverpool allowing Dominic Solanke to join Bournemouth for £19million earlier this month. The 18-year-old had already been tipped to become part of Klopp’s senior plans this season prior to news of his injury towards the beginning of last year. Whilst focusing on his own recovery, Brewster has evidently been welcomed company for Alex Oxlade-Chamberlain amid his own battle with injury.